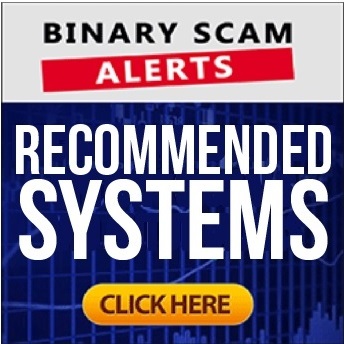 Binary Scam Alerts » Scam Reviews » Walter’s FMS Review, Fake Walter’s FMS SCAM Resurfaces! Walter Green the Scammer is back and he’s out to pick your pocket! Yes, the old binary options affiliate scammers are making a comeback with the Free Money System, only now they are calling it Walter’s FMS. Make no mistake, the greedy scammers are relentless and also very cheap. These lazy ripoff artists refuse to come out with an original concepts and keep rehashing the old Free Money System trash, only now they call it Walter’s FMS. We have actually posted 2 reviews explaining about the fraudulent nature of this “mother of all” get-rich-quick-schemes (and with good reason). The Walter’s FMS SCAM represents everything which is wrong with online trading today. It is one of the oldest and most deceptive scams which has been used and re-used by a myriad of affiliate networks and media agencies. The sole purpose of the Walter’s FMS SCAM is to get you signed up and trading with a sleazy offshore broker, in our case it was GFC Investment (again). So don’t be surprised if you you are called up by rude sales reps in the guise of legit brokers during the middle of the night as they try to get their dirty little fingers on your credit card details. SCAM ALERT: Our Walter’s FMS Review was prompted by severe complaints, so please think twice about where to invest and how to spend your money because getting scammed really feels bad (trust us, we’ve been there). Don’t believe us? Want to test the waters and invest? Before you do so we recommend you keep reading our Walter’s FMS review because we exposed these liars and proved that this system is not legit! OK, here we have the signup and registration area for Walter’s FMS fake software. The new format uses the same one which is used by the Bitcoin Code and Ethereum Code (among others). That is because its the same cheaters and they are up to their old tricks again. Alright so here is the original Free Money System which we exposed right here on our website and rightfully blacklisted it. You can see for yourself that its the same person spewing the same lies. We also added his acting reel for additional reference, and this guy really gets around. He also did another scam named the United Trading Network, and we blacklisted that as well. What is Walter’s FMS and How Does It Work? Walter’s FMS is one of the oldest get-rich-quick schemes designed and produced during the golden age of binary options. Walter Green “AKA The Green Machine” claims that its the worlds first “done for you free money system”. Its supposed to generate passive income for you, but in reality there is no software at all. You just signup, deposit, and get called to do it again until all your money is gone. Walter’s FMS (Free Money System) promises to make you a lot of money. In the sales page they invite you to “join the Premiere Money Generating Platform that provides members with passive income”. They also say that no experience or knowledge is needed, all you need to do is push a button and start making money. If that’s not enough, we tried clicking on their support email and got a “bannerbit” email account. Bannerbit is a fake business opportunity scam where they tell you how to open your own business. In reality its a scam and you get ripped off, so apparently the same crooks are behind both schemes. Oh, did we mention the fake testimonials and inflated bank account statements? Yea, it’s all included so don’t take the bait. Nope! Its’ going to cost you at least $250 and as always the thieving brokers will steal it from you in the blink of an eye so don’t signup and don’t say we didn’t warn you. We did not see ANY fake Walter’s FMS Reviews and we are the first ones to expose it. If you are still under the impression that Walter’s FMS scam is a legitimate trading system and investment platform then you should not be trading online. Fortunately for you we were able to compile a short yet impressive list of consistent cash-producing systems. Once they pass our screening process we add them to our recommended section so take a minute to check it out. The Walter’s FMS SCAM software, app, and trading system is a blacklisted scam. We encourage you to seek alternative and more trustworthy systems where you can actually generate income for yourself and not for some sleazy offshore broker who will pick your pocket and send you on your way. Should you have any additional questions or need clarifications please message us via our our Facebook Page and YouTube channel .